Fall is showing off for us this year. The trees are vibrant reds, oranges, and golds; the weather is gorgeous (I'm ignoring the week we had two weeks ago--ugh! ); and the leaves are dropping quickly. I don't know about you, but weather like this makes me want to throw a party. Football? Hockey? (Yes, please!) Halloween? For the past four years I have hosted a Halloween party for a group of very special college students. We'd have taco soup and chili and lots of snacks and the kids absolutely loved it. So did I! But that group graduated last year and they now live all over the world, so this will be the first year in a long time that I haven't hosted a Halloween party. I cannot tell you how sad this makes me. I just might have to recruit a new group of college students. Anyway, I'm pretty sure that this little recipe was on the menu every year--I make it several times each fall and it usually gets gobbled up in no time. Just last week I was looking for a quick snack that I could give to a group that was coming over to our house. This dip was just perfect because it only requires four ingredients that I usually have on hand in my pantry. And apples. Which are just about perfect this time of year. So, if you're like me and in the mood to throw a Fall-themed party, grab these four ingredients and get cookin'! 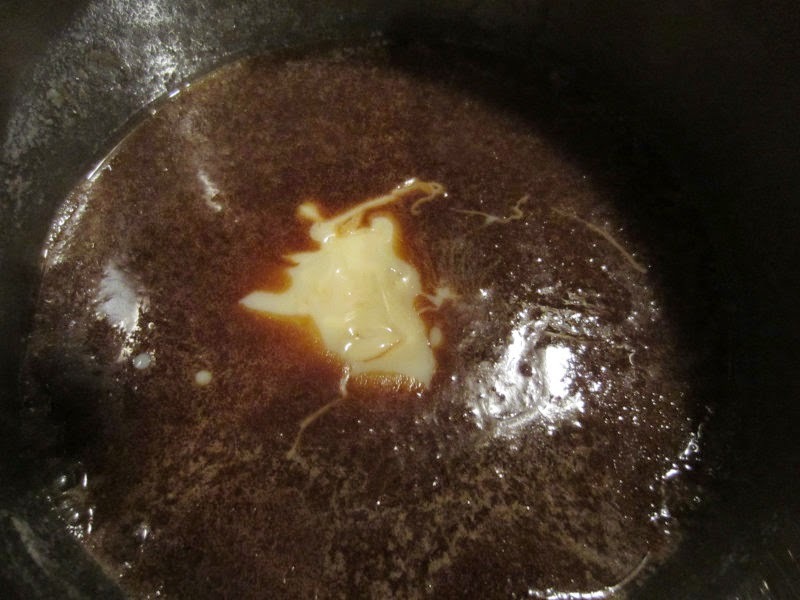 All it takes is butter, brown sugar, Karo syrup, and sweetened condensed milk. I didn't promise you a healthy snack, did I? 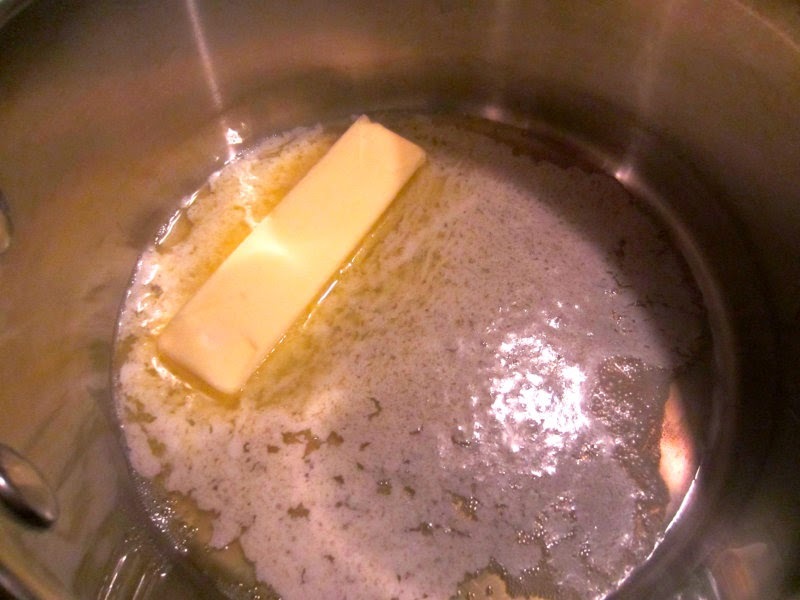 Start by melting a stick of butter in a 2-quart saucepan. Then add the brown sugar and Karo syrup and mix well. Keep the pan over medium heat. 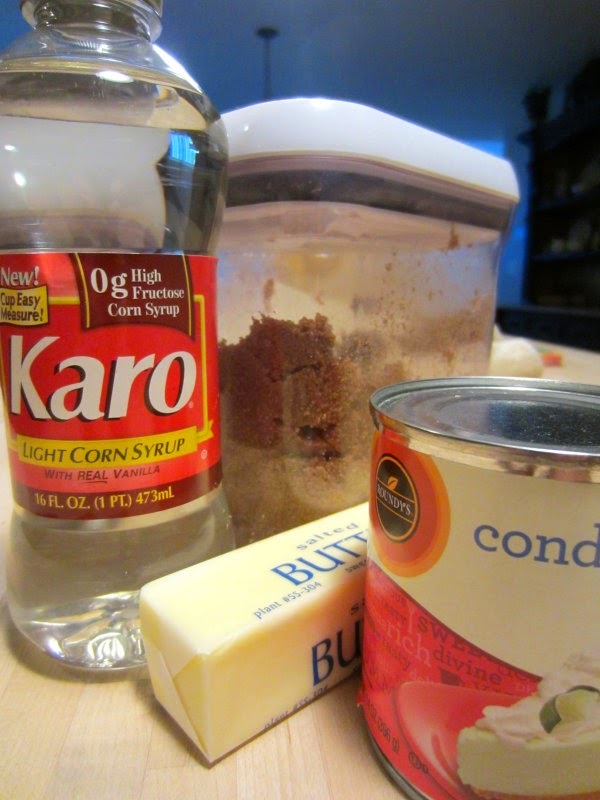 Once that is thoroughly combined, add the sweetened condensed milk. Stir everything together and continue to cook over medium heat, stirring continually until it begins to boil. Cook for about 2-3 minutes, until the sugar has dissolved and the mixture has thickened. 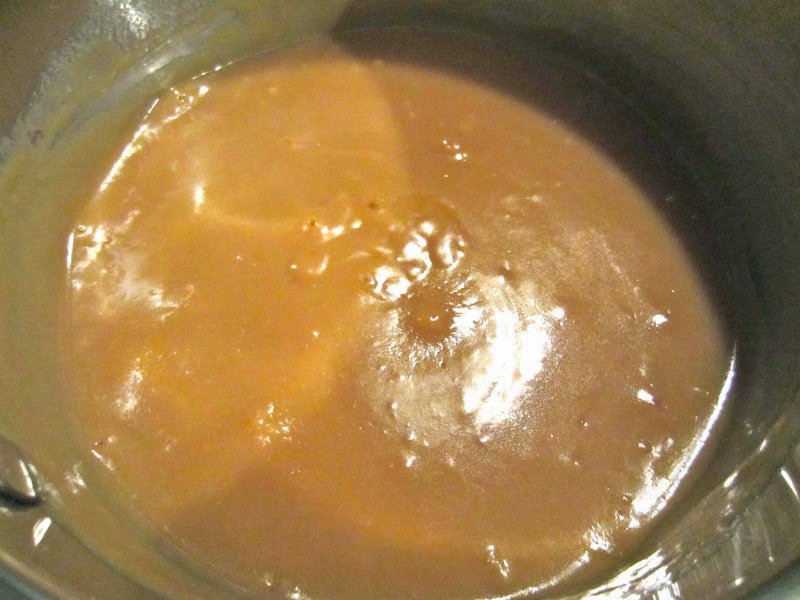 After a few minutes, your caramel dip will lighten, like this, and when it's just the right consistency, you're done. Take it off the heat and allow it to cool just a bit before transferring it to a pretty bowl and serving platter. 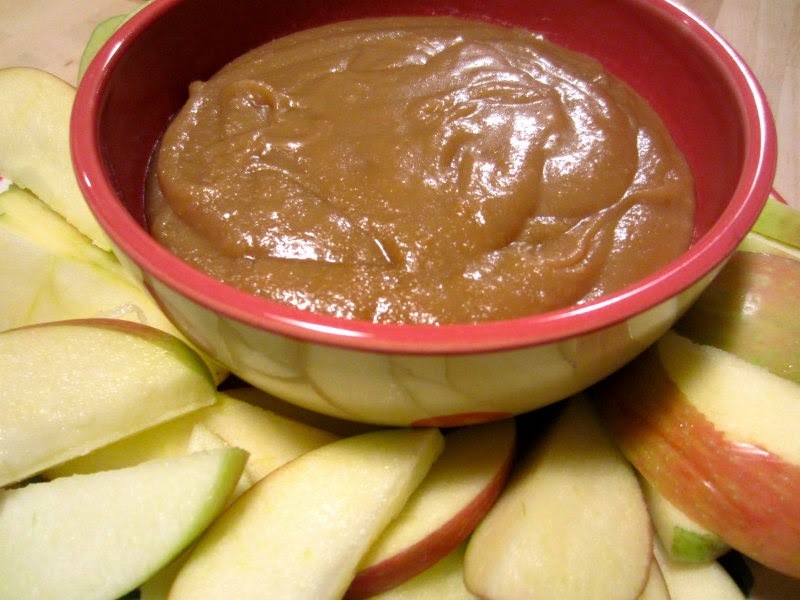 Serve your Caramel Apple Dip with apple slices. And watch the party begin! As they say in the South: "Happy Fall, Y'all!"